Manchester United are a real mess at the moment, and it’s impossible not to look at Jose Mourinho’s side and wonder where the quality is going to come from. 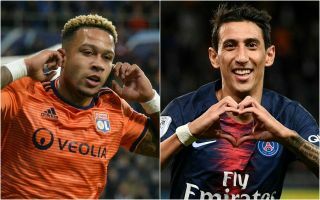 Tragically enough for United fans, the answer might well be players like Memphis Depay and Angel Di Maria, both of whom are tearing it up in Ligue 1. But they’re far from the only ones, with United’s awful recent record in the transfer market not ending at simply splashing out unwarranted amounts of cash on Paul Pogba, Alexis Sanchez and Romelu Lukaku, but also at the players they’ve let go far too soon. Arriving at United as a talented youngster back in 2015, the move to Old Trafford perhaps came a little soon for Memphis Depay. Still, this criminal lack of patience from the Red Devils means the Dutchman was let go far too soon, and he’s now showing world class form with Lyon. Did Angel Di Maria really go from one of the finest attacking midfielders in the world to a dud in the space of just a few months at MUFC? Doesn’t sound likely, does it? In fairness, the Argentine was widely thought to have wanted out of Manchester pretty quickly, so what can you do about that? But at the same time, some fans didn’t help by giving up on him far too quickly. Di Maria started brightly before fading, but the glimpses of immense talent were there and he’s now a star player for Paris Saint-Germain, providing the flair and creativity Mourinho’s side needs. Sure, he’s old and no longer the player he was, but Wayne Rooney had a fine final season in the Premier League with Everton and has looked a player reborn with DC United in the MLS. Could the former England captain really not give this side something right now with how Lukaku is playing? Could he even really be any worse at linking things up from midfield than the out-of-sorts Paul Pogba? Linked with some big names in the summer before moving to Leicester City, Jonny Evans remains a solid, experienced pro, and one who knows what it means to pull on a United shirt. There’s no doubt the Northern Irishman was underrated in his time at Old Trafford, and keeping players like Chris Smalling and Phil Jones ahead of him now looks immensely foolish.